One of the themes for the heritage festival is Auckland’s waterways, including the land and sea. The events focused on this theme celebrate water and its many guises in the Auckland region, including as a source of travel, trade, economy, recreation and more. 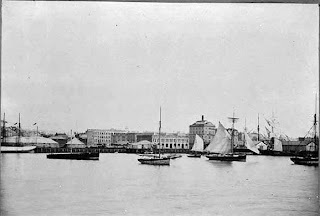 Auckland's geography and its waterways have intimately influenced the history of the region. 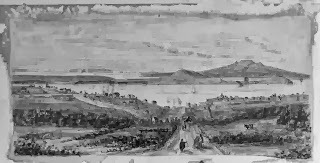 The Auckland isthmus was a rich and desirable location for Māori for many reasons including the rich volcanic soils for gardening and the coastal resources. 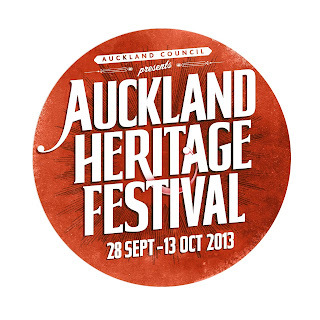 Yes, it's that time of year again when we celebrate Auckland's distinctive heritage! This year the festival runs from 28 September to 13 October and has around 240 events and activities organised by over 180 groups and organisations , many of which are free and will keep all ages amused. Contributors include Auckland Libraries, museums, historical societies, art galleries, historic homesteads and lighthouses, and events include trails, tours, workshops and talks. Warkworth township was established in 1853 by John Anderson Brown, a businessman from Warkworth in Northumberland, England. The area reminded Brown so much of his hometown, that he gave it the same name. 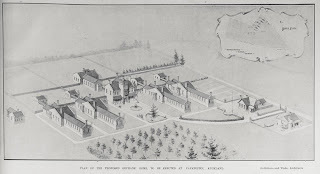 Brown purchased 153 acres and drew up a plan for subdivision of the area, which included land for the Anglican Church and its cemetery. 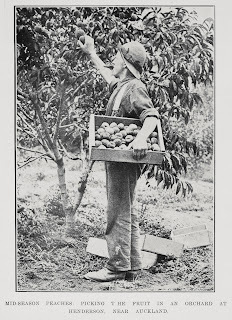 Farming along with fruit farming was important to the area, but key to the success of the town was kauri timber. Another major industry was the lime and cement works, which were established in 1865 and were successful up until the relocation of the business to Whangarei in 1928. Cement made in Warkworth was used in the construction of Auckland’s Grafton Bridge in 1910, which was the largest concrete bridge in the world at the time. Earlier this year in July, Ernesto “Che” Guevara de la Serna's writings were inscribed onto the UNESCO Memory of the World Register. 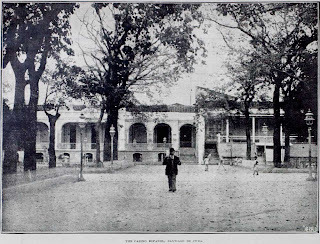 The register includes nearly 300 documents and collections from 5 continents. Che's writings form part of the 54 new registrations added this year. The Cuban Revolution leader's documentary collection which includes 1007 documents, spans most of his life (1928-1967) including original manuscripts such as the 'Motorcycle Diaries' from his youth to his diary written in the mountains of Bolivia, where he was executed in 1967.In addition to the diaries, also included in the collection are newspaper articles, essays and personal correspondence. In total, this equals 431 manuscripts written by Che and 567 documents about him. The 19th September marks Suffrage Day in NZ. This year's anniversary is extra special, since it marks 120 years since Kiwi women won the right to vote in national parliamentary elections in 1893. The Governor, Lord Glasgow, signed the landmark legislation, which made the new Electoral Act into law. In doing so, NZ became the first self governing country in the world to give women this right. 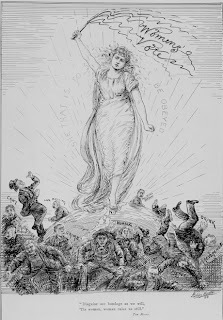 Also of importance during 1893, was the election of the first female mayor in the British Empire. Elizabeth Yates became the Mayor of Onehunga Borough Council in 1893 and served until 1894. She also was a councilor from 1899 - 1901. Despite the sexism Elizabeth endured her time as mayor, she made a huge impact - reduced the debt of the council, kept the streets and footpaths maintained and made an impression on Parliament when lobbying for the Onehunga Cemetery Bill. The 13 September was Roald Dahl Day. Each year, the focus of this day is on celebrating the life and work of Roald Dahl, one of the world's most popular and beloved writers for children. Dahl's picture books, novels, short stories, poetry and memoirs are all classics and popular not only with children but adults too. His timeless works such as 'James and the Giant Peach' (1961), 'Charlie and the Chocolate Factory' (1964), 'Revolting Rhymes' (1982), 'Tales of the unexpected' (1980) and 'The Witches' (1983) are of enduring interest and relevance to all readers. To celebrate Comic Book Month this September at Auckland Libraries, Sir George Grey Special Collections is displaying a range of classic mid-to-late 20th century comics in the Reading Room cabinet (on display until the end of the month). Graphic literature (to use the technical flash term) has a long history, part of which includes the serialised superhero, action, science fiction and war comics of the last century. These were most often printed cheaply on newsprint and were considered ephemeral and throw away like the 'daily rag' newspaper. Nowadays comics from the 'Golden Age of American comics' - considered to be the 1930s to 1950s, are sought after by comics collectors, and fetch high prices. Malo e lelei. Tongan Language Week is being celebrated from 1-8 September. The theme this year is Fakakoloa 'o Aotearoa 'aki 'etau Lea mo e Hiva Faka-tonga / Enriching Aotearoa with Tongan Language and Music. As part of the celebrations, there is a vibrant Facebook page. Auckland Libraries has a number of heritage resources relating to Tonga. This include the following subjects: heritage and identity, the Birth Marriages Death index for Fiji and Tonga from 1858-1873, traditional medical practices, early photography in Tonga and Samoa from 1855-1900, Tongan art, early Tonga as the explorers saw it 1616-1810 and the biography of the King of Tonga. 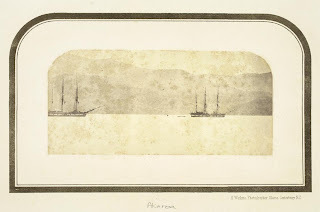 On 2nd September 2013, the first of a series of small exhibitions will open at the Bill Laxon Maritime Library at Voyager New Zealand Maritime Museum. The exhibition will remain in place for 1 or 2 months in a case installed in the Edmiston Gallery. The 'Out of the Box' exhibition series will showcase some of the paper objects (e.g. books, archives, manuscripts original documents and photographs) that are normally kept in boxes in storage and are only seen when needed for research enquiries or for temporary exhibitions. 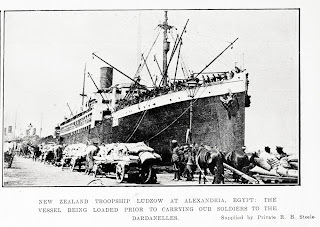 In keeping with the theme this month - Merchant Navy Day (commemorated on 3rd September to honour those who served during WW2), the first exhibition will celebrate the140th Anniversary of the New Zealand Shipping Company. This year's theme for NSW History Week 2013 is 'Picture This' and focuses on how photographs have influenced Australia's past. Our world today is highly visual and heavily influenced by imagery. This event offers a diverse range of material that is representative of how Australian culture has been influenced by photography. It seeks to explore how historians use art and photography to inform their research, and delves into the impact images have had on the formative years of the advertising industry. 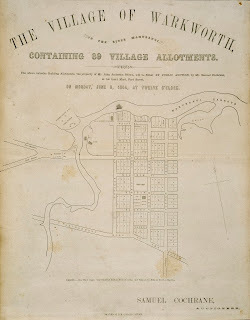 If you are lucky enough to be in Sydney from September 7 to 15, there are a number of exhibitions to take in and the full program of events is available on the History Council of New South Wales website. For those of us who are not so fortunate, several of the exhibitions are viewable as on-line galleries; the featured pictorial displays are Australian Lebanese in the Picture, Through the Lens: Snapshots of Sydney and A Suitcase of Travelling Photographs.